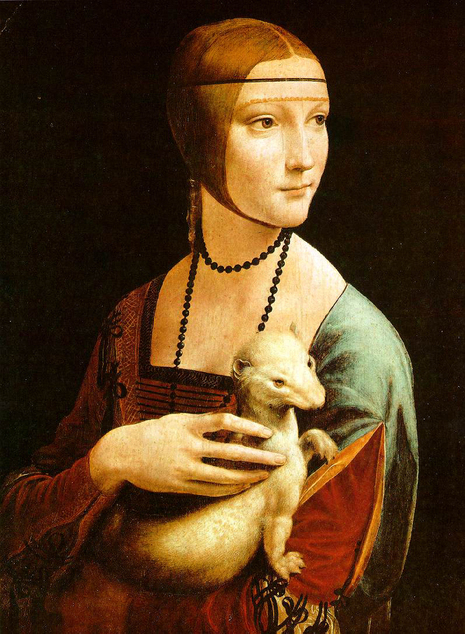 Lady with an Ermine is a painting by Leonardo da Vinci, from around 1489–1490. The subject of the portrait is identified as Cecilia Gallerani, and was probably painted at a time when she was the mistress of Lodovico Sforza, Duke of Milan and Leonardo was in the service of the Duke. 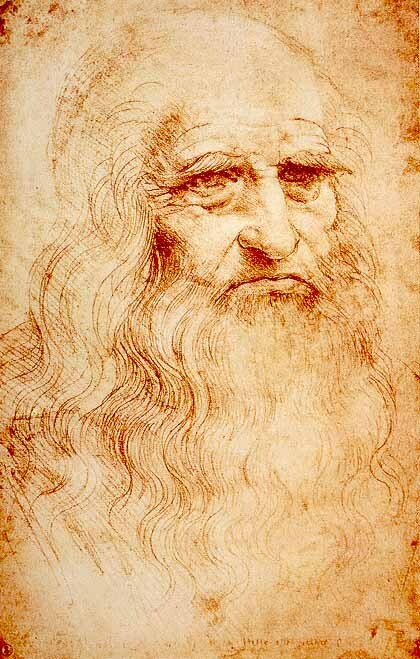 The painting is one of only four female portraits painted by Leonardo, the others being the Mona Lisa, the portrait of Ginevra de' Benci and La Belle Ferronière. It is displayed by the Czartoryski Museum, Kraków, Poland and is cited in the museum's guide as the first truly modern portrait. When exhibited in Museum of Fine Arts in Huston, it was described as "signal[ling] a breakthrough in the art of psychological portraiture". Princess Izabela may have been a great patriot but her handling of the Leonardo painting would have given modern art historians a heart attack. 'If it's a dog, it's a very ugly one' she remarked on receiving the portrait from the gallant Prince Adam. Taking a disliking to Leonardo's blue background, the Princess promptly had it painted jet black, and then painted on an erroneous title 'La Belle Ferronniere'' (a portrait that now hangs in the Louvre). Standing before the painting today, you can't help feeling slightly cheated by the black background. It has the effect of rendering the Lady (allegedly a mistress of Duke Ludovico Sforza) as a kind of cardboard cut-out. You feel that she might fall out of the picture at any moment, like a character in a childrens pop-up book (a quality which Monty Python's artist Terry Gilliam had plenty of fun with in his Flying Circus adventures).